This life-changing new program uses a cutting-edge, food-based clinical strategy to help you interrupt the chaotic pattern of living off stress hormones (cortisol and adrenaline). We do this by teaching you how to recode your adrenals, restore your thyroid, nourish your brain and heal your nervous system which allows the body to create lasting hormonal balance. Recoding your entire system helps relieve anxiety, depression, insomnia, and feelings of overwhelm and fear. Christa takes you on a tour through the grocery store to teach you how to shop healthier. You'll get easy, convenient tips on how to get new foods in your diet that improve your energy, digestion, weight, and moods. You'll learn which produce to buy organic vs. non-organic, what's okay to buy frozen, soda and juice alternatives and so much more! By the end of this tour, you will be equipped to go into any grocery store and upgrade your shopping cart for a healthier lifestyle for you and your family. This program includes 14 videos along with the corresponding transcripts and audio (mp3) files. The Whole Journey Healthy Life Handbook helps families make inspiring, consistent, and lasting positive changes in a way that is delicious, fun, educational, and free of willpower and denial. Incorporating our whole-life philosophy and organized into six easy to follow sessions, you’ll implement 10 new life-enhancing steps every two weeks. Each session builds off the one before it, empowering you to make lasting change. A great place to start making positive lifestyle improvements. The Whole Journey and Wellness Mama have joined forces to bring you an easy reset kit which includes two must have e-books (plus 3 hours of video) that will guide you on a systematic 7-Day Soup Cleanse that resets the brain, organs, glands, and hormones while teaching practical tips to create a healthier home, body, and lifestyle for you and your family. Includes tons of nourishing recipes, tips to engage kids in a healthy lifestyle, self-care and DIY natural cleaning tips. Feeling sluggish? Brain fog? Low energy? 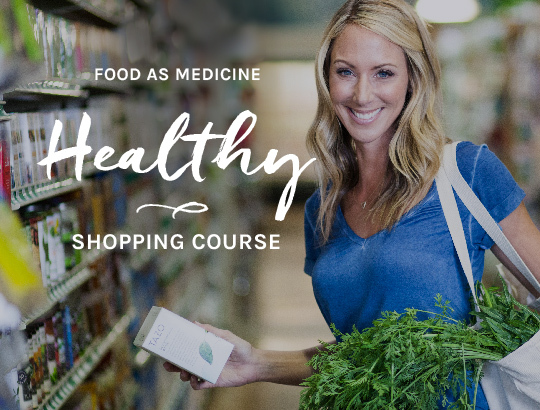 This video course teaches you how to eliminate the root causes of disease (mind, body, and spirit) while making consistent upgrades to your current diet, supplements, mindset, and lifestyle at a pace that’s comfortable for you. Visual learners who need extra guidance or those who have never worked with a nutritionist before will love this program which mirrors exactly what Christa did with her private clients. If you have intense sugar cravings, bloating, a white coating on your tongue, constipation, low energy/thyroid function and mental fog, candida overgrowth may be the root cause. This cleanse is for sugar junkies or those with a history of heavy antibiotic use. It works systematically to eliminate candida overgrowth as well as to manage viruses and heavy metals that come along with it. Phase II heals and seals leaky gut and boosts and balances the thyroid. Click below to learn more about candida and why this is the single most comprehensive, effective, and unique cleanse to eliminate candida overgrowth and its root causes. The most comprehensive course of its type, Gut Thrive in 5 can rejuvenate your health at the cellular level – potentially eliminating symptoms that have plagued you for years. Follow this 5-step plan to eliminate inflammation, leaky gut, and the pathogenic overload on the body that causes them (parasites, yeast/fungus, protozoa, bad bacteria, viruses, heavy metals, and other toxins). Following the GT5 protocol gently reprograms your microbiome’s genetic code and re-trains your immune system. Essential and life-transforming for anyone with chronic autoimmune or digestive disease like Hashimoto’s, Lupus, Crohn’s, Colitis, IBS/IBD, and Fibromyalgia. Crucial for anyone suffering from skin conditions like eczema and psoriasis. Healthy? GT5 is an amazing prevention plan for those who want to reboot their health, lose weight, and feel 20 years younger from the inside out. Over 6,000 ‘thrivers’ have gone through this program. After successfully treating hundreds of couples who struggled with infertility, Christa wrote How to Conceive Naturally, a “five trimester” approach to pregnancy that begins with a 12-week preconception prep period, followed by three trimesters of nutritional support for pregnancy that promotes healthy organ and gland development for your developing fetus while making sure you don’t get depleted along the way. After birth, the Post-partum trimester teaches you how to rebalance your hormones in half the time so you can fully enjoy these precious moments in your family’s life. Hundreds of hours of research goes into choosing which supplements we use in our Candida and Gut Thrive courses. The supplements recommended here are the result of years of research and clinical experience. Only the highest quality, most effective products are selected to help you fight pathogens, repopulate your gut with good bacteria, and to heal and seal a leaky gut to reduce food sensitivities and immune system issues.